Astronaut Smashstronaut – I loves my Rev’it gear. To me, it’s the textile version of a Vanson jacket. With the Cayenne pants, I had no heated liners running and was completely comfortable in sub 30s temps – without even the slightest chill. Rev’it=great. Congrats on the successful laundering. It’s rewarding when things work out the way we want. Yup you completely just inspired me to clean my white Sidi boots and white leather jacket. 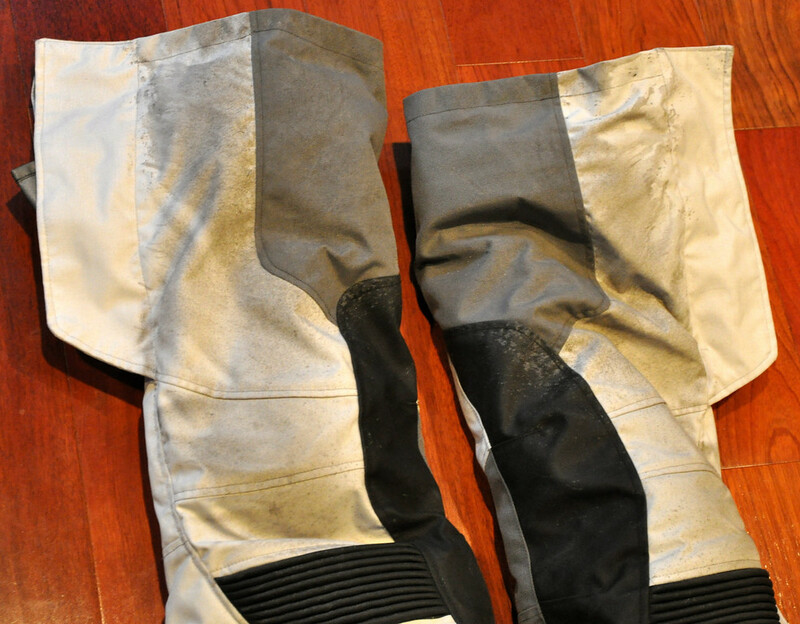 My Cayenne pants are black but the jacket is light grey/dark grey and I do have some spots on the lighter areas. Thanks for posting up your results. I’ve tried loving my Cayenne get up but we just didn’t get along. Once the temperatures drop below 40°, I tend to reach for my FirstGear Rainier stuffs. Oh well, as with all things, YMMV. How about a chance for more happiness? My current luggage set up can haul just about all my gear… ? For some reason I didn’t think your cayenne suit was dark, Duc. What are you using the clean your leather, GL? That was like 100 years ago now! I wish we were all closer together 🙁 I miss you guys. I’m going to use Lexol as it was recommended by CruJones. I tried some other cleaner I had laying around the house first but it didn’t do a good job. Glad they came out clean. Just found your blog. Like it. Good posts. Hey, Oz! Welcome aboard and… THANKS!! Lexol makes a textile cleaner? I use the Lexol Cleaner (orange) and Conditioner (brown) for my leathers with good results. wow nice your pant. stylish. color very nice. 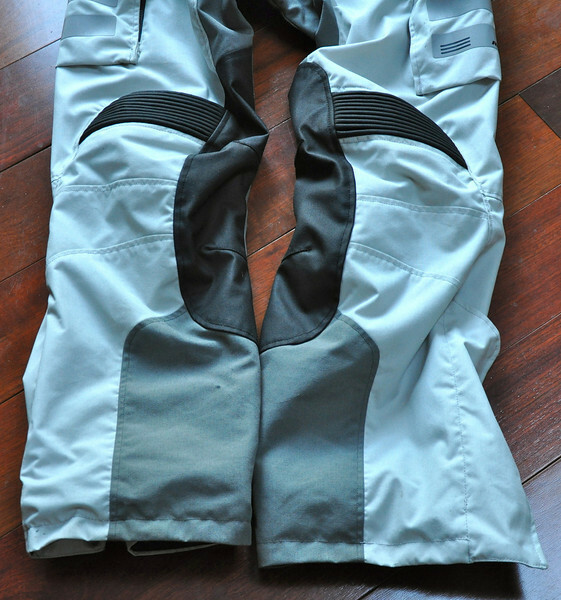 My Cayenne pants are black but the jacket is light grey/dark grey and I do have some spots on the lighter areas. Thanks for posting up your results.